Clay Dodd has been named director of valuation and advisory services at CBRE Group, Inc. in Minneapolis. 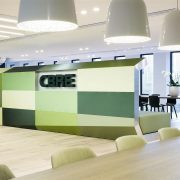 CBRE is a commercial real estate services and investment firm offering a broad range of integrated services, including facilities, transportation and project management. In his new role, Dodd will help CBRE establish a national agribusiness practice. Throughout his 25 years as a fee appraiser, Dodd has appraised many grain elevators, including country, shuttle train, river and port elevators. He also has appraised many flour mills, including hard, soft and durum mills. Other assignments include ethanol plants, soybean crushing plants, bio diesel plants, corn mills (wet), oat mills, malt plants, feed mills (dedicated and commercial), seed plants, specialty mills, dairy processing plants, fruit and vegetable processing plants, meat processing plants, pasta plants, canneries, dry mix plants and general food processing plants. He received a bachelor’s of science degree from Saint Cloud State University in Saint Cloud, Minnesota, US. 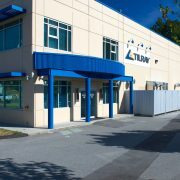 Tilray, Inc. (NASDAQ:TLRY), a global pioneer in cannabis production and distribution, today announced the formation of its International Advisory Board, an esteemed group of business and government leaders who will provide guidance to Tilrays executive team and Board of Directors as the company pursues its aggressive global growth strategy. We are honored to welcome this impressive group of distinguished leaders to the Tilray team, says Brendan Kennedy, Tilray CEO. As we pioneer the future of our industry around the world, the experts on our International Advisory Board will advise us on our rapidly expanding global business. Governor Howard Dean is a former Democratic National Committee (DNC) Chairman, presidential candidate, six-term Governor of Vermont, and physician. Gov. Dean is also the founder of Democracy for America, a lecturer at Yale University and a strategic consultant for the global law firm Dentons. Michael Steele made history when he was elected Lieutenant Governor of Maryland in 2003, as the first African American elected to statewide office; and again, with his subsequent chairmanship of the Republican National Committee (RNC). Under Mr. Steeles leadership the RNC broke fundraising records and led Republicans to win 63 House seats in 2010, the biggest pick-up since 1938. Mr. Steele is an accomplished author and media commentator. The Honourable Lloyd Axworthy P.C., C.C., O.M., is the chair of the World Refugee Council and one of Canadas leading voices on global migration and refugee protection. Throughout his 27-year political career, he served as Canadas Minister of Foreign Affairs and Minister of Employment and Immigration, among other postings. Joschka Fischer served as Foreign Minister and Vice Chancellor of the Federal Republic of Germany. He is a member of the Board of Trustees of the International Crisis Group and a member of the Executive Board of the European Council on Foreign Relations. Mr. Fischer also currently serves as Managing Partner of Joschka Fischer & Company, a global strategy firm, where he advises clients on issues relating to Germany and the European Union. Jaime Gama is the longest-serving Portuguese Minister of Foreign Affairs. Over a distinguished career in public policy, Mr. Gama served as Minister of Foreign Affairs, Minister of Home Affairs, Minister of Defense, and Minister of State. He was a member of the Government in 2001 when Portugal approved its decriminalization and harm reduction drug policy. He was elected Member of Parliament and served as the Speaker of the Parliament. Mr. Gama serves as the chairman of a bank and of a private foundation. The Honourable Alexander John Gosse Downer, AC, was the longest-serving Minister for Foreign Affairs in Australia in history, holding his position for ten years. He also served has High Commissioner to the United Kingdom. Mr. Downer was a diplomat in the Department of Foreign Affairs, serving in the Australian Mission to the European Union, the Australian Representation to the North Atlantic Treaty Organization (NATO) and at Australian embassies in Belgium and Luxembourg. Rt Hon Sir Donald McKinnon, ONZ, GCVO, was New Zealands longest serving Minister of Foreign Affairs and Trade and held the portfolios of Disarmament and Arms Control, Veterans Affairs, War Pensions, and Pacific Island Affairs. Mr. McKinnon served as Deputy Prime Minister, Leader of the House and was appointed a member of Her Majestys Privy Council. He was nominated for the Nobel Peace Prize for his work in initiating and overseeing the ceasefire between Bougainvilleans and the Papua New Guinea Government in 1997. Mar­a Lorena Gutirrez Botero served as Minister of Commerce, Industry and Tourism, as well as Ambassador of Colombia to Germany, as a member of President Juan Manuel Santos government. Ms. Gutirrez has served as a member of numerous boards of directors of international organizations and universities, such as the European Foundation for Management Development, the Sumaq Alliance, the Latin American Council of Administration Schools, the Business Association for Latin American Studies and the Quality Corporation of Colombia. James OBrien served two U.S. administrations as Special Presidential Envoy. Mr. OBrien has been Senior Advisor to the U.S. Secretary of State and served as the Principal Deputy Director of Policy Planning at the State Department. Mr. OBrien currently serves as Vice Chair of Albright Stonebridge Group (ASG) and heads up the firms practice in Europe. Dr. Lorna Marsden is a former Canadian Senator from Ontario who was appointed to the position by former Prime Minister Pierre Trudeau. She served in the Senate for eight and a half years, where she was a member of the Standing Committee on National Finance and chairwoman of the Standing Committee on Social Affairs, Science and Technology. Dr. Marsden also served as President and Vice-Chancellor of York University and President and Vice-Chancellor of Wilfrid Laurier University in Waterloo, Ontario. Tilray is a global pioneer in the research, cultivation, production and distribution of cannabis and cannabinoids is currently serving tens of thousands of patients in twelve countries spanning five continents. This press release contains forward-looking statements, which may be identified by the use of words such as, may, would, could, will, likely, expect, anticipate, believe, intend, plan, forecast, project, estimate, outlook and other similar expressions, including statements related to Tilrays global strategy and the International Advisory Board. Forward-looking statements are not a guarantee of future performance and are based upon a number of estimates and assumptions of management in light of managements experience and perception of trends, current conditions and expected developments, as well as other factors that management believes to be relevant and reasonable in the circumstances, including assumptions in respect of current and future market conditions. Actual results, performance or achievement could differ materially from that expressed in, or implied by, any forward-looking statements in this press release, and, accordingly, you should not place undue reliance on any such forward-looking statements and they are not guarantees of future results. Forward-looking statements involve significant risks, assumptions, uncertainties and other factors that may cause actual future results or anticipated events to differ materially from those expressed or implied in any forward-looking statements. Please see the heading Risk Factors in Tilrays Quarterly Report on Form 10-Q for the quarter ended June 30, 2018 and the risks discussed in Tilrays other filings with the Securities and Exchange Commission for a discussion of the material risk factors that could cause actual results to differ materially from the forward-looking information. Tilray does not undertake to update any forward-looking statements that are included herein, except in accordance with applicable securities laws. Are you walking the walk or just talking the talk? 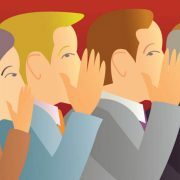 A flashy marketing campaign is doomed to fail if your transparency and genuineness don’t come through to your clients in their interactions with you. Make no mistake: Customers have well-honed radar and will disconnect if they sense even a whiff of disingenuousness. So, how can you continue to gain new clients and create long-term relationships with them? James Atkins and Jason Langford-Brown, both longstanding Mindshop members and successful business advisors, delivered four key insights on this topic during the global Mindshop Advisor Workshop this November. “Experience is the new product, and time is the new price” was an idea that resonated throughout the workshops. For professional service firms, providing a fantastic experience for customers across all touch points, from the sales process, onboarding and delivery through to billing, is essential to generating referrals, which remains still the strongest way to generate leads. This is based on the key idea that marketing is no longer the sole responsibility of a few people and clients’ willingness to pay for ease of engagement. Balancing what you say versus what others say about you is the key to authentic engagement. An advisory brand is an articulation of who the organisation is, what they believe and what they do. So, if it does not reflect the expectations and experience of your customers, you’re at risk of lacking authenticity. Do you know what clients are saying about you and what your reputation is? If not, you need to find out. Start by asking both customers you have won recently and those you lost. The sweet spot of authenticity is the intersection of your brand, reputation and fit with customer needs. To be authentic you need to be trusted, and to be trusted you need to be transparent. Think of your marketing as a pyramid: The base is your website, holding up campaigns and sales engagement techniques. All these building blocks need to be authentic, aligning with your “why” at each stage of the sales cycle and beyond. Here’s a practical tip: Why not try harnessing the power of video (the shorter the better) and using unscripted language to tell stories of how your customers have experienced success using your services? B2B selling is complex, and the likelihood of a purchase drops sharply when the number of decision makers involved increases. Today’s empowered customers are often well into making their purchase decision by the time they engage a supplier. Therefore, engaging through influencing decision makers can be a powerful tool. The quality of your service model and ability to deliver a high-value outcome for clients are obviously keys in client retention of clients. If you’re not offering services that provide ongoing benefits, rather than one-off, project-based activities, you will constantly be searching for new clients. Your advisory model needs to tell a great story about how you will work with clients to achieve their goals. a. Online Coaching and Training: Deliver the triple play of benefits: leverage (more clients, more often), improved customer experience (just-in-time support) and cost reduction (less reliance on heavy travel schedules to maintain face-to-face contact). b. Initial Business Reviews: Help clients focus attention on where they are now and where they want to be in the future. 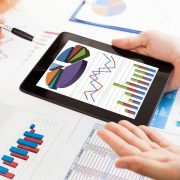 Use tools such as a Growth and Profit Diagnostic, Now Where How and financial dashboards. c. Half-Day Strategic Plan Resets: Time-poor clients want a simple, strategic plan review to get them back on track. Use tools like One Page Plan, Now Where How, Sustainable Competitive Advantage, Mindmap and Pareto to achieve a clear plan in a short period of time. Good luck with implementing some of these ideas! The achievement of authenticity through your marketing, sales and advisory offering will set you apart from those who are just “talking the talk” and help you win new clients and keep them. 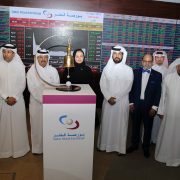 Qatar National Bank received recognition as the best Qatari firm for IR Excellence in February 2018. The best small (Al Meera), mid (Vodafone) and large cap (Qatar National Bank) companies, as well as the best Chief Financial Officer (Mr. Ramzi Marri of QNB), the best Investor Relations Officer (Mr. Andreas Goldau of Ooredoo) and the best corporate IR website (Ooredoo) in the country, were also recognised. A survey among buyers of consultancy services has identified the top management consulting and M&A advisory firms for the education sector. The list recognises large consultancies such as EY-Parthenon (the strategy consulting subsidiary of EY) KPMG, PwC, and boutiques with a focus on the education sector such as Cairneagle Associates and William Clarence Education. Every year industry platform EducationInvestor organises the EducationInvestor Awards, a competition that is awarded to organisations and individuals that have made an outstanding contribution to the education sector in the past twelve months. Awards are also provided to firms and people that have done an outstanding job in promoting excellence and innovation within the industry. Three categories look specifically at the performance of consulting firms in the sector. In the advisory and finance segment of proceedings, nominations have been handed out for the services of consultants to education institutions, and to private sector entities looking to invest in education. Meanwhile, nods were also handed out to five firms for the financial advisory category. London headquartered Cairneagle Associates is an international strategy consultancy specialising in education, media and technology. The firm has previously been recognised with the 2015 and 2016 EducationInvestor Awards for Consultants to the Private Sector. Joining the consultancy is Carfax Projects. Founded in 2011, it provides technical and strategic support to investors, universities, governments, and inter-governmental organisations around the world. The strategy subsidiary of Big Four firm EY also made the grade. EY-Parthenon is nominated alongside Big Four rival KPMG, and SAP consultancy Pivot. Pivot focuses primarily on digital transformation projects in the sector, while the final nominee for the category, William Clarence Education, recently announced a new partnership with educational guardianship organisation, AEGIS. The education consultancy will collaborate in order to offer new guidance for parents of international children studying in Britain. Alongside second nominations for Cairneagle Associates, Carfax Projects and EY-Parthenon, CIL Management Consultants has also been nominated for the Consultants to the Private Sector Category. Last year, CIL was similarly noted for its achievements in the health sector, as the Health Investor Awards. The final consultancy to be nominated in the category is PwC. The firm recently announced its investment in the health technology business that has developed Perfect Ward, an online inspection tool aimed at improving quality in healthcare organisations and systems. In the Financial Adviser category, Clearwater International, a financial advisory firm that provides services across multiple sectors, was marked out for its work. Founded in 2014, Clearwater hosts 200 employees in 15 international offices, and the business has completed over 1400 transactions, worth more than €66 billion. Alongside Clearwater, fellow nominee DC Advisory, a London-based corporate finance advisor with specific expertise in cross-border transactions, was also acknowledged. Grant Thornton, the UK’s fifth largest auditor, received a nomination in the category as well, along with Houlihan Lokey/Quayle Munro. In January 2018, Houlihan Lokey, a global investment bank, successfully completed the acquisition of Quayle Munro, an independent advisory firm that provides corporate finance advisory services to companies underpinned by data & analytics, content, software, and services. Interestingly, QMPF, formerly known as Quayle Munro Project Finance is the final nominee in the category, having parted ways with Quayle Munro in 2014, thanks to a managerial buy-out. Dresner Advisory Services today announced the winners of its 2018 Industry Excellence Awards. The annual awards acknowledge vendors who have achieved a leadership position in the company’s 2018 Wisdom of Crowds® Business Intelligence (BI), Enterprise Planning, and/or Analytical Data Infrastructure (ADI) Market Studies. 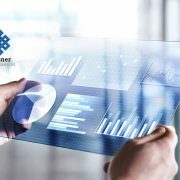 The reports are based on data collected from end users and provide a broad assessment of each market including current usage, key drivers, technology priorities, and future intentions as well as performance ratings of relevant vendors. The Dresner Advisory Services Industry Excellence Awards go to vendors who achieved leadership status in two industry-rating models included in each research report. The Customer Experience model considers the real-world experience of customers working with vendors’ technology solutions on a daily basis, plotting the various customer touch points against sentiment surrounding product and technology. The Vendor Credibility Model considers a vendor’s relationship with customers, plotting perceived value for price paid against a calculated “confidence” score. The 2018 awards were presented to 20 vendors across five categories: Overall Leader, Customer Experience Leader, Technology Leader, Credibility Leader, and Trust Leader. Overall Leaders for Business Intelligence are: Dimensional Insight; Domo; Jedox AG. ; Looker; Pyramid Analytics; Sisense; and Zoomdata. Overall Leaders for Enterprise Planning are Board; Jedox AG; Prophix Software, Inc.; and OneStream Software. Overall Leaders for Analytical Data Infrastructure are: Exasol and Snowflake. ClearStory Data; Information Builders; and Salesforce are Customer Experience Leaders for Business Intelligence. Host Analytics is a Customer Experience Leader for Enterprise Planning. Technology Leaders for Business Intelligence are Board; Google Cloud; MicroStrategy, Inc.; Tableau; and TIBCO Software, Inc.
Google Cloud is a Technology Leader for Analytical Data Infrastructure. Credibility leaders are vendors whose customers reflect a high level of confidence and sense of value for price paid. Trust Leaders are vendors whose customers reported a solid perceived confidence. Credibility Leaders for Business Intelligence are Google Cloud and TIBCO Software, Inc.
Google Cloud is a Credibility Leader for Analytical Data Infrastructure. Host Analytics is a Trust Leader for Enterprise Planning. The Wisdom of Crowds flagship reports are based on data collected on usage and deployment trends, products, and vendors. Users in all roles and throughout all industries contributed to provide a complete view of realities, plans, and perceptions of the market. The reports are available for purchase at www.dresneradvisory.com.